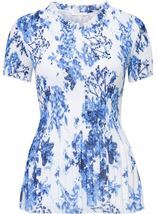 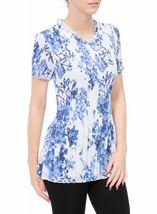 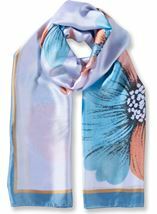 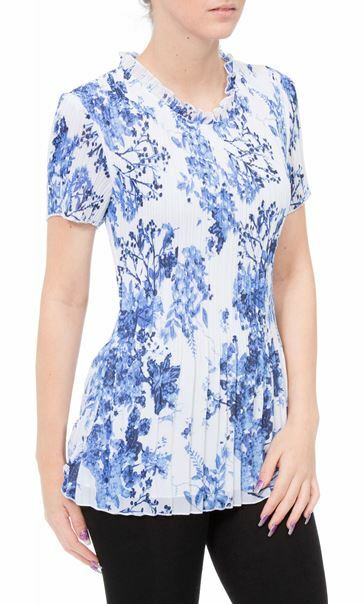 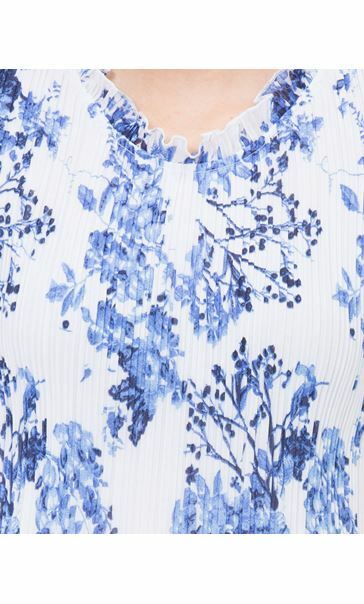 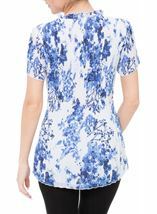 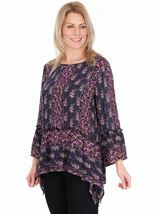 Anna Rose short sleeve white and cobalt floral pleat top that fits and flatters the figure beautifully. 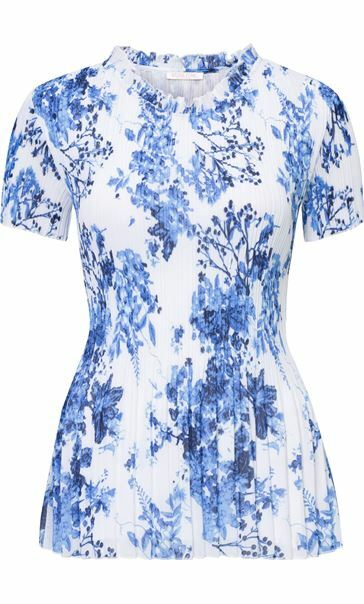 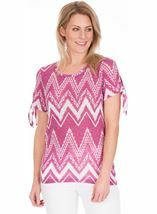 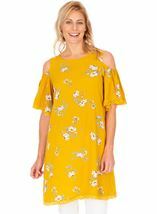 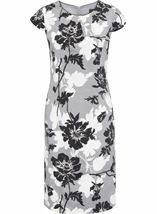 Lined and finished with frill detailed round neckline, team with white or navy bottoms for a look that will take you from day to night in style. 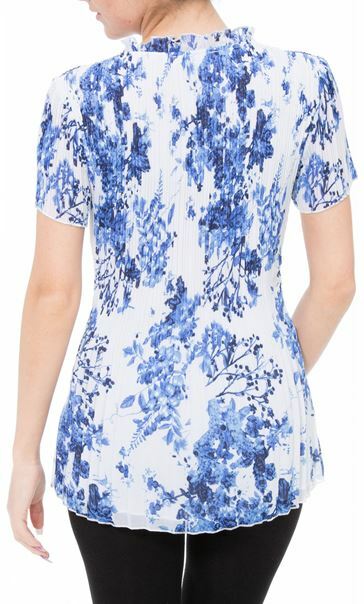 Back length 68cms.